Texarkana, USA (December 3, 2018): The Texarkana Chamber of Commerce will host a Lunch & Learn this Wednesday, December 5th, from 11:30 AM-1:00 PM in the North Conference Center at CHRISTUS St Michael- 2600 St Michael Dr, Texarkana, TX. The topic of the Lunch & Learn Priorities & Protocol for the Young Professional. There will be a panel made up of well-known business people in our community. Michael Rhodes with Edward Jones Investments will be the moderator, and the group will consist of Natalie Conway with Opportunities, Inc., Jennifer Davis with Texas A&M University-Texarkana, LaTonya McElroy with BCS FM Solutions, Suki O’Neal with HealthCARE Express and Brandon Washington with Texarkana College. If you are new to the business community and want to learn best practices and do’s and don’ts in the corporate world, then this Lunch & Learn is for you. This event is for Chamber Members only. You must sign up with The Chamber at 903-792-7191. 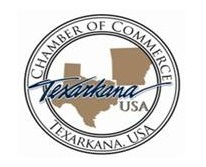 The Texarkana USA Chamber of Commerce is a private not for profit membership trade association focusing on community and economic development for the Texarkana region. The Chamber has been a community partner for over 100 years in Bowie and Miller counties. Information on the Chamber and the upcoming meeting is available at 819 North State Line Avenue, Texarkana, TX or 903-792-7191.